Did you know that pipe tracing plumbing is an integral part of the pipe lining process? By tracing each pipe to be lined, the appropriate amount of epoxy can be used to completely coat the inside diameter of the pipe to the desired length. Pipe tracing involves thoroughly examining and inspecting the entire length of the pipe that is to be lined. Here at Nu Flow, we have a pan and tilt camera that allows us to see every inch of the pipe. This special plumbing camera also records all of the images so that they can be viewed later and it measures the diameter and length of the plumbing pipe. In certain instances, we may use other devices, like sonic wave emitters, to thoroughly trace your plumbing system so that it can be mapped before the installation of your pipe coating. Once our pipe lining technicians know the exact dimensions of your plumbing pipes from the information gathered during the pipe tracing plumbing inspection, calculations are made to determine how much epoxy to blow through the existing pipe in order to seal all the leaks, cracks and pinholes. The pipe tracing and our calculations help ensure that we did not use too little or too much epoxy. 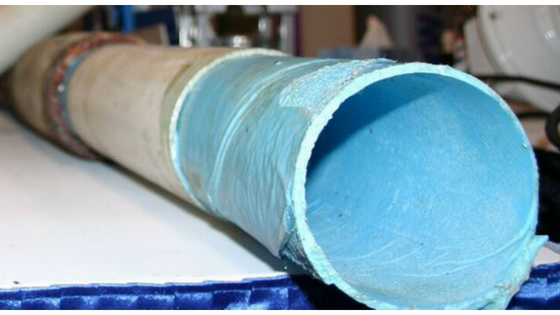 If too little epoxy is used, the pipe may not be fully coated to the desired length. If too much epoxy is used, the layer may be too thick. 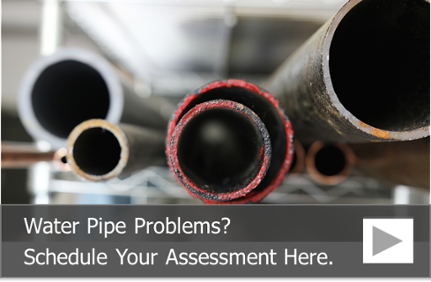 Businesses, landlords and property managers often choose pipe lining for a variety of reasons. Some individuals own historic buildings and do not wish for any of the features, including the antique plaster, harmed during the pipe repair process. Others simply want a way to repair their plumbing pipes without causing their residents extreme discomfort and inconvenience. Pipe coating with epoxy is generally done on small diameter pipes where a pipe liner, usually made of fiberglass or felt, cannot be inserted. During this process, our pipe lining technicians locate existing pipe access points and connect the pipe lining equipment after a thorough cleaning and drying of the pipes has been performed. The connected equipment blows epoxy through the plumbing pipes at a specified pressure. As the epoxy moves through the system, it coats the internal diameter of the pipe and seals all the leaks, restoring the function of the potable water pipe. Once the pipe is thoroughly coated, the coating is left to dry and cure. When the curing and drying process is complete, which usually takes about a day, the pipe is returned to service. To learn more about our pipe lining and coating services in Chicago, call us at 815-790-9000.